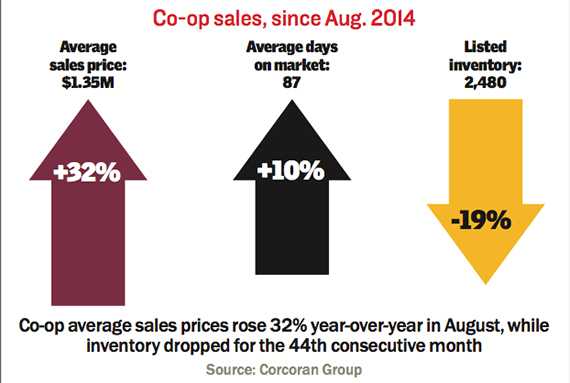 From the October issue: Average co-op sales prices rose year-over- year, to more than $1.35 million in August, but inventory continued to dwindle — it was the 44th consecutive month of declines, according to a report from Corcoran Group. Fewer co-ops are put to market, and many owners are not so eager to sell, despite the increase in prices. 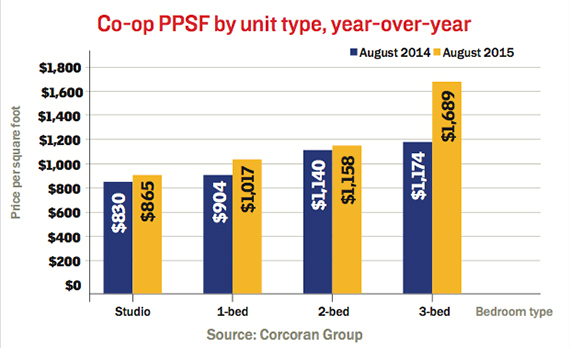 “The reason most people sell is they want to upgrade,” said Mitchell Hall, a broker at Corcoran Group. With condominium prices also reaching new highs, “upgrades are possibly out of reach,” he said. In condominium reports, nearly 30 percent of New Development Sales Took Place in either Midtown West or Harlem in the second quarter of 2015, a report from MNS found. In June, TRD showed that Harlem was adding as many new residential projects to the city as Chelsea and the Financial District. 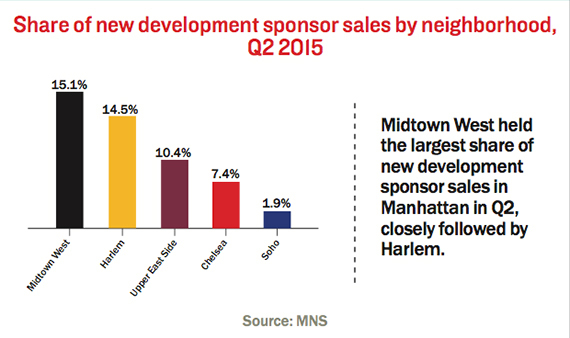 However, Midtown West had the most new development unit sales, and Hudson Yards hype could be a boon for even more. “The consumer interest in Midtown West has increased significantly over the past year,” said Kathy McFarland, a broker at Town Residential. While interest in Hudson Yards contributed, immediate attention was driven by luxury high-rises on Billionaire’s Row, she said.